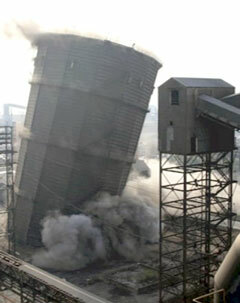 Using the principles of Precision Blasting, VRHabilis explosively demolished on two structures at an ArcelorMittal steel plant in East Chicago, Illinois. It was particularly difficult due to the proximity of structures to remain. The demolition was performed without incident and VRHabilis completed the project by removing all debris.